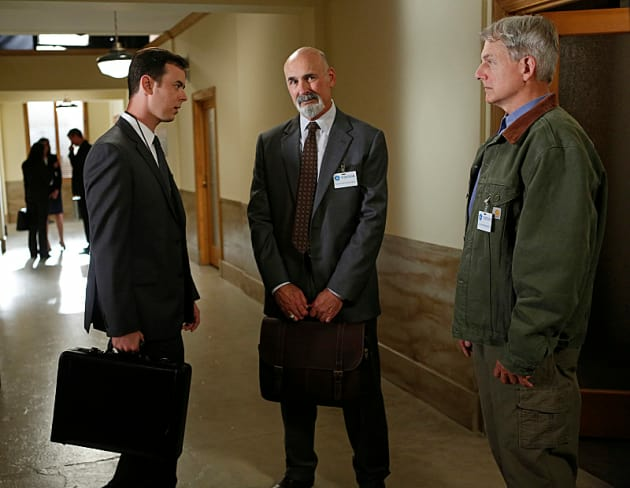 Gibbs and Parsons square off in the NCIS Season 10 finale. 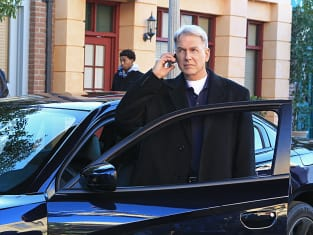 NCIS Season 10 Episode 24: "Damned If You Do"
Morrow: There's a connection between the death of that Navy Seal and what's happening with your team. Vance: What kind of connection? Morrow: The murder of Eli David opened a political can of worms that was much bigger than anyone expected. Vance: Eli and Arash Kazmi wanted to forget a peace. But Bodnar killing them opened the door. Morrow: Homeland and the CIA wait for chances like this, to stir the pot. Distract governments so that all sorts of recon can happen. The CIA needed Iran to believe Mossad was responsible. Vance: Are you telling me that Bodnar didn't kill Kazmi? Morrow: I'm telling you we did it, Leon. The CIA took out Kazmi that night so that Bodnar would end up being the fall guy. Iran and Israel could duke it out while we focused on the real threat. We're all so damned worried about Iran and North Korea when the real threat is here, on home soil. Vance: It's a shell game isn't it? Keep people distracted. Morrow: Leon you see why I wanted you to keep your distance? Vance: Tom Morrow may have a solve. We pull it off this could all go away. Gibbs: For all of us? Vance: It might kill you. Gibbs: So could a bag of clams. Vance: [laughs] We sure picked one hell of a career didn't we Gibbs? Gibbs: Got to make a living Leon. NCIS Round Table: "Damned If You Do"